Match ends, Jaguares de Córdoba 2, Envigado 2. Second Half ends, Jaguares de Córdoba 2, Envigado 2. Corner, Envigado. Conceded by Delio Ojeda. Attempt blocked. Yeison Guzmán (Envigado) right footed shot from outside the box is blocked. Neyder Moreno (Envigado) wins a free kick in the attacking half. Foul by Juan Pablo Zuluaga (Jaguares de Córdoba). Substitution, Jaguares de Córdoba. 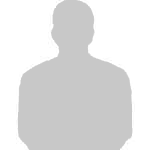 Fabio Castillo replaces John García. Jefferson Martínez (Envigado) wins a free kick in the defensive half. Foul by John García (Jaguares de Córdoba). Yohn Geiler Mosquera (Jaguares de Córdoba) is shown the yellow card for a bad foul. Yeison Guzmán (Envigado) wins a free kick in the attacking half. Foul by Yohn Geiler Mosquera (Jaguares de Córdoba). Attempt missed. Neyder Moreno (Envigado) right footed shot from outside the box is too high. Assisted by Yeison Guzmán. Hand ball by Wilfrido de La Rosa (Envigado). Goal! Jaguares de Córdoba 2, Envigado 2. Yeison Guzmán (Envigado) right footed shot from the centre of the box to the high centre of the goal. Assisted by Carlos Terán following a set piece situation. Substitution, Envigado. Brayan Lucumí replaces Michael Nike Gómez. Second yellow card to David Cortés (Jaguares de Córdoba) for a bad foul. Foul by David Cortés (Jaguares de Córdoba). Bruno Moreira (Envigado) wins a free kick on the left wing. Foul by Santiago Ruiz (Envigado). David Cortés (Jaguares de Córdoba) wins a free kick in the defensive half. Attempt missed. David Cortés (Jaguares de Córdoba) right footed shot from the right side of the box is high and wide to the right. Attempt saved. Pablo Rojas (Jaguares de Córdoba) right footed shot from outside the box is saved in the bottom right corner. Assisted by Sebastián Ayala. Foul by Sebastián Ayala (Jaguares de Córdoba). Bruno Moreira (Envigado) wins a free kick in the defensive half. Substitution, Envigado. Bruno Moreira replaces Alexis Zapata. Pablo Rojas (Jaguares de Córdoba) wins a free kick in the attacking half. Foul by Juan Mosquera (Envigado). Corner, Jaguares de Córdoba. Conceded by Jefferson Martínez. Attempt saved. Juan Pablo Zuluaga (Jaguares de Córdoba) right footed shot from outside the box is saved in the top centre of the goal. Attempt missed. Luis López (Jaguares de Córdoba) header from the centre of the box misses to the right. Assisted by Pablo Rojas with a cross following a set piece situation. Substitution, Envigado. Wilfrido de La Rosa replaces George Saunders. David Cortés (Jaguares de Córdoba) wins a free kick in the attacking half. Francisco Báez (Envigado) is shown the yellow card. Edis Ibargüen (Jaguares de Córdoba) is shown the yellow card. Francisco Báez (Envigado) wins a free kick in the defensive half. Foul by Edis Ibargüen (Jaguares de Córdoba). Goal! 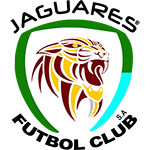 Jaguares de Córdoba 2, Envigado 1. David Cortés (Jaguares de Córdoba) header from the centre of the box to the centre of the goal. Assisted by Juan Pablo Zuluaga with a cross. Attempt blocked. Yohn Geiler Mosquera (Jaguares de Córdoba) right footed shot from outside the box is blocked. Attempt missed. Carlos Terán (Envigado) right footed shot from the centre of the box misses to the right following a set piece situation. Michael Nike Gómez (Envigado) wins a free kick in the attacking half. Foul by Delio Ojeda (Jaguares de Córdoba). Attempt saved. Yeison Guzmán (Envigado) right footed shot from outside the box is saved in the centre of the goal. Assisted by Alexis Zapata with a through ball. Juan Pablo Zuluaga (Jaguares de Córdoba) wins a free kick in the defensive half. Foul by Neyder Moreno (Envigado). Cristian Arrieta (Envigado) wins a free kick in the defensive half. Attempt missed. Pablo Rojas (Jaguares de Córdoba) right footed shot from the centre of the box is close, but misses to the right. Assisted by Edis Ibargüen with a headed pass. Attempt missed. Neyder Moreno (Envigado) right footed shot from outside the box is just a bit too high. Assisted by Carlos Terán with a headed pass following a fast break. Attempt blocked. Sebastián Ayala (Jaguares de Córdoba) right footed shot from outside the box is blocked. Assisted by Delio Ojeda. Corner, Jaguares de Córdoba. Conceded by Cristian Arrieta. Attempt missed. Yeison Guzmán (Envigado) right footed shot from outside the box misses to the left. Assisted by Alexis Zapata with a headed pass. Substitution, Jaguares de Córdoba. Juan Silgado replaces Diego Ordóñez because of an injury. David Cortés (Jaguares de Córdoba) is shown the yellow card for a bad foul. Juan Mosquera (Envigado) wins a free kick on the left wing. Foul by Diego Ordóñez (Jaguares de Córdoba). Alexis Zapata (Envigado) wins a free kick on the right wing. Attempt missed. Delio Ojeda (Jaguares de Córdoba) right footed shot from outside the box is just a bit too high following a set piece situation. Juan Pablo Zuluaga (Jaguares de Córdoba) wins a free kick on the right wing. Foul by Michael Nike Gómez (Envigado). Attempt saved. Juan Pablo Zuluaga (Jaguares de Córdoba) right footed shot from outside the box is saved in the bottom right corner. Yohn Geiler Mosquera (Jaguares de Córdoba) wins a free kick in the attacking half. Attempt saved. Santiago Ruiz (Envigado) right footed shot from the centre of the box is saved in the centre of the goal. Assisted by Yeison Guzmán with a cross. Second Half begins Jaguares de Córdoba 1, Envigado 1. First Half ends, Jaguares de Córdoba 1, Envigado 1. 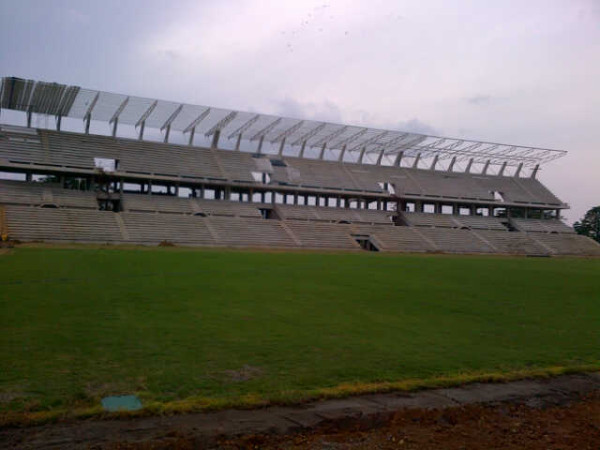 Offside, Jaguares de Córdoba. Sebastián Ayala tries a through ball, but John García is caught offside. Substitution, Jaguares de Córdoba. David Cortés replaces Mauricio Cortés. Delay in match Yeison Guzmán (Envigado) because of an injury. Luis López (Jaguares de Córdoba) is shown the yellow card for a bad foul. Yeison Guzmán (Envigado) wins a free kick in the defensive half. Foul by Luis López (Jaguares de Córdoba). Santiago Ruiz (Envigado) wins a free kick in the defensive half. Delay in match Jefferson Martínez (Envigado) because of an injury. Attempt blocked. Michael Nike Gómez (Envigado) right footed shot from the centre of the box is blocked. Assisted by Juan Mosquera with a cross. Attempt blocked. Pablo Rojas (Jaguares de Córdoba) right footed shot from outside the box is blocked. Attempt saved. Mauricio Cortés (Jaguares de Córdoba) right footed shot from outside the box is saved in the centre of the goal. Assisted by Pablo Rojas with a through ball. Alexis Zapata (Envigado) wins a free kick in the defensive half. Attempt saved. Cristian Arrieta (Envigado) left footed shot from outside the box is saved in the centre of the goal. Assisted by Alexis Zapata. Mauricio Cortés (Jaguares de Córdoba) wins a free kick in the defensive half. Attempt missed. Pablo Rojas (Jaguares de Córdoba) left footed shot from outside the box misses to the right. Assisted by Mauricio Cortés. Goal! Jaguares de Córdoba 1, Envigado 1. Pablo Rojas (Jaguares de Córdoba) converts the penalty with a right footed shot to the top left corner. Delay in match Luis López (Jaguares de Córdoba) because of an injury. Carlos Terán (Envigado) is shown the yellow card for a bad foul. Penalty conceded by Carlos Terán (Envigado) after a foul in the penalty area. Penalty Jaguares de Córdoba. Luis López draws a foul in the penalty area. Corner, Jaguares de Córdoba. Conceded by Michael Nike Gómez. Sebastián Ayala (Jaguares de Córdoba) wins a free kick on the left wing. Foul by Alexis Zapata (Envigado). 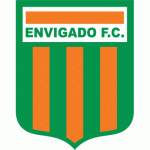 George Saunders (Envigado) wins a free kick on the right wing. Attempt saved. Francisco Báez (Envigado) right footed shot from very close range is saved in the bottom right corner. Assisted by Neyder Moreno. Goal! Jaguares de Córdoba 0, Envigado 1. Yeison Guzmán (Envigado) from a free kick with a right footed shot to the top left corner. José Huber Escobar (Jaguares de Córdoba) is shown the yellow card for a bad foul. Hand ball by José Huber Escobar (Jaguares de Córdoba). Offside, Jaguares de Córdoba. Delio Ojeda tries a through ball, but John García is caught offside. Edis Ibargüen (Jaguares de Córdoba) wins a free kick in the defensive half. Attempt blocked. Carlos Terán (Envigado) right footed shot from the centre of the box is blocked. Assisted by Santiago Ruiz. Corner, Envigado. Conceded by Yohn Geiler Mosquera. Corner, Jaguares de Córdoba. Conceded by Carlos Terán. Attempt missed. Edis Ibargüen (Jaguares de Córdoba) right footed shot from outside the box misses to the right. Hand ball by Neyder Moreno (Envigado). Juan Mosquera (Envigado) wins a free kick in the attacking half. Michael Nike Gómez (Envigado) wins a free kick in the defensive half. Attempt missed. Alexis Zapata (Envigado) left footed shot from outside the box is high and wide to the left. Attempt saved. Pablo Rojas (Jaguares de Córdoba) header from the centre of the box is saved in the top centre of the goal. Assisted by Mauricio Cortés with a cross. Corner, Jaguares de Córdoba. Conceded by Santiago Ruiz.